Super Mario World: Super Mario Advance 2 (AKA スーパーマリオアドバンス2 Sūpā Mario Adobansu Tsū in Japan) is a remake of the classic Mario World, one of the best 2D side-scrolling adventure platform video games of all times. It was developed by Nintendo EAD for the Game Boy Advance handheld console in 2001, after Super Mario Advance (2001). ​Super Mario Advance 2, like previous Super Mario games, follows the story of the Mario brothers as they rescue Princess Peach from Bowser and his henchmen. But even with the same plot, the game itself delivers improvements that keep Super Mario fans hooked to the franchise. Unlike in previous Mario games players are not only confined to playing Mario. They have now the option to choose between Mario and Luigi. The general difference between the two is that Luigi can jump higher and leap farther. Super Mario World: Super Mario Advance 2 is composed of 96 levels of side-scrolling action. In each level, different terrains, backgrounds, and enemies are featured. 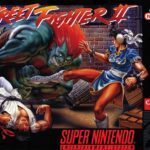 Additionally, all of the 96 levels of the game are carefully laid out to utilize the characters’ abilities—so choosing which character to play matters. ​Yoshi is also added to the gameplay. When an egg is hatched, characters can ride on the dinosaur’s back, making it possible to stomp and swallow small enemies. There are also special Star Road levels where players can obtain different-colored Yoshis. Each variety has different ability which can be unlocked by eating specific enemies. ​Also a new addition to the game is the status screen wherein finished levels are indicated. The character which has completed the specific level is also displayed. Additionally, the secret exits and dragon coins which are still left undiscovered are shown. ​And because the game is set to be played on a handheld, Nintendo added the ability to save anywhere and anytime at will. This allows for shorter spurts of gameplay without having to go back to a certain checkpoint. There’s also a link feature that allows for four-player battles. ​Though understandable (given the handheld’s limitations), it’s still obvious that this isn’t the most impressive Mario game. So, those who want their favorite plumber rendered in vivid colors and superb clarity might have to look elsewhere. 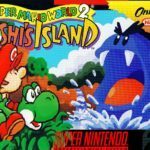 ​Overall, Super Mario Advance 2 for the Game Boy Advance is a refined version of an old game that many have come to love. There are times that playing this feels like just playing the classic version but still, there’s no denying that this title is extraordinary by its own merits. The game was followed by Super Mario Advance 3 and Super Mario Advance 4. 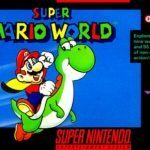 Super Mario World: Super Mario Advance 2 game has been ported to GBA (this version), SNES (original), and Nintendo Virtual Console.